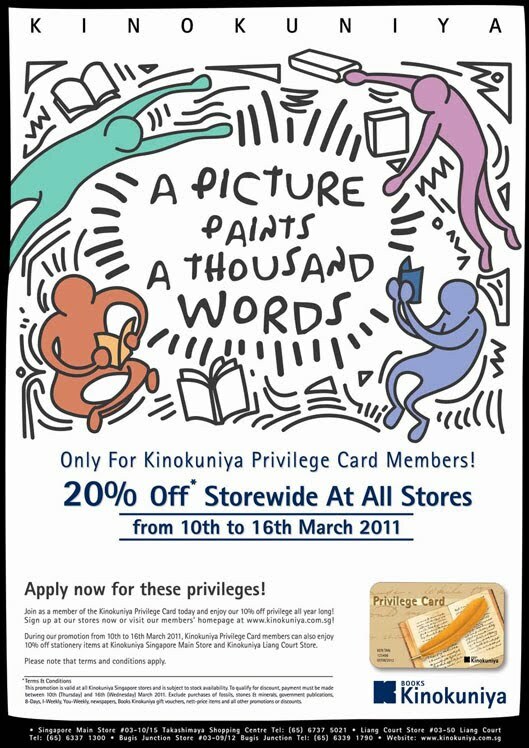 Kinokuniya just started its 20% storewide sale for members from 10-16 March. 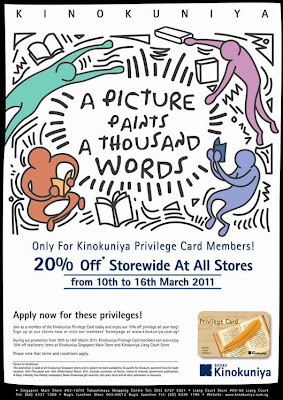 Members will also enjoy a 10% discount on stationery items. This is a good time to pick up new mooks like the three LeSportSac 2011 Spring & Summer mooks which have just arrived at Kinokuniya (see pics of the mook and the foldable tote bag on this blog).